TL;DR: KDP Print ISBN options are the same as they were with CreateSpace. If you choose the free ISBN option, be aware of its limitations. As always with ISBNs, the devil is in the details and usage depends on your goals. Details below. A free ISBN. The name of your publishing imprint is CreateSpace Independent Publishing Platform. KDP Print ISBN options are exactly the same as above with the exception of the name of the publishing imprint if you opt for the free ISBN. If you use the free ISBN, your paperback will show the publisher as Independently published. Why not choose the free option? As a self-publisher, you are playing all the bills and many in the community have called paying for an ISBN a “tax” with little or no value when it comes to sales and marketing. First, keep in mind that every printed book sold in stores must have an ISBN. No store—including Amazon—will list a print book for sale without an ISBN. Using the free ISBN means you must use KDP Print to print your book. You cannot use the free ISBN to print with IngramSpark, for example. Or any other printer for that matter. You are locked in. The name of your publisher will be “Independently published.” If you are doing PR outreach to bookstores or the media, this is like a tattoo on your forehead that says “Amazon-only author.” Many stores and media outlets do not like Amazon. You cannot get a Library of Congress Control Number if you use the free KDP Print ISBN. The choice really comes down to your goals and budget. If Amazon is the only place you ever expect to market your book, and you don’t care about building an author brand, the free KDP Print ISBN option may be good enough. Wait! What about Expanded Distribution? Any one of the 3 KDP Print ISBN options will get your book into the Bookstores and Online Retailers channel. But only a free KDP Print ISBN will get your book listed in the Libraries and Academic Institutions channel. Bookstores and Online Retailers. Serving the literally thousands of bookstores is complex, so distribution is handled by the leading U.S. book distributor, Ingram. Brick-and-mortar stores can order your book through Ingram, but more importantly for small publishers, this option distributes your book to BarnesandNoble.com. Libraries and Academic Institutions. 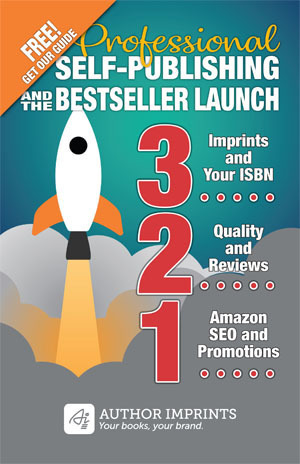 This is the most important sales channel to note because you must have a KDP Print ISBN. This channel is served by the largest wholesaler to libraries and academic institutions, Baker & Taylor. If a customer of theirs wants to order your book, Baker & Taylor can deliver it at a wholesale price. Do you need a KDP Print ISBN to sell to libraries and academic institutions? NO! You contact the library or school and they buy the book from you, the publisher. The library or school buys the book from Ingram (this is the bookstores and online retailers channel available to any KDP Print user). You contact Baker & Taylor to set up an account and they buy from you. Your book listing in the Baker & Taylor catalog does not mean a library or school will order it. Ask any author, or small publisher for that matter, how easy it is to sell books to libraries and schools and you’ll likely get an earful about the difficulties. This is no reason for wanting the free ISBN. In my opinion, self-publishers are being duped. Speaking of being duped, Amazon is playing a game right now with authors during the move from CreateSpace to KDP Print. They are using the promise of selling books to libraries and schools to try to scare you into abandoning your ISBN in favor of the free KDP Print ISBN. I understand that you would like to select expanded distribution channels other than CreateSpace direct for you book, but as you are using your own ISBN are unable to choose book stores & online retailers or Libraries & Academic Institutions. You can create a new title with the same name but use CreateSpace assigned ISBN in order to have you book available through Amazon even while it is being migrated to KDP. In case you don’t create another title with CreateSpace assigned ISBN, your book will still be migrated to KDP but in draft state, you will have to go to KDP and make the required changes to make it available again. In the above example our self-publisher client already has an account with IngramSpark and Ingram handles distribution to “stores & online retailers.” My client doesn’t need this. But note how Amazon dangles the Libraries & Academic Institutions carrot. Don’t buy it. Monitor your KDP account and simply activate it (if needed) after the transition from CreateSpace. I cover this topic in greater detail in my book, Register Your Book: The Essential Guide to ISBNs, Barcodes, Copyright, and LCCNs. It is available in paperback, Kindle eBook, and audiobook. The paperback is available from the IBPA bookstore (Independent Book Publishers Association), as well as Amazon, Barnes & Noble, and other online retailers. Audiobook from iTunes and Audible. Thank you for this detailed description. I have a Createspace ISBN but regret it and would like to use my own. Will changing the ISBN during conversion work? I only this weekend I set up an account with ” Create Space ” and accepted an ISBN #. I have only submitted the title of my book at this point. If I back out now where does this leave me? Like most I am confused. Please advise. You can change an ISBN at any time. However, there is a good chance the book reviews associated with the CS ISBN will stay there and you’ll have to start over. It will move over at some point so this isn’t a big deal. Just wait for their email about the move or initiate it now. Being Canadian, I can get a free ISBN anyway so I would never opt for a free ISBN from Amazon. You mention the “Libraries & Academic Institutions carrot.” In fact, nowadays I tend to ignore libraries altogether. I don’t think that libraries matter all that much for making my books successful. Indeed, people who take books out of the library tend to give a lot more negative reviews than people who are willing to buy my books with their hard earned money. Because of this, I not only ignore libraries but avoid them. For the record, I first self-published in 1989. In August, my books finally reached over 1,000,000 copies sold worldwide. This took me 29 years so I would imagine that sales will never reach 2,000,000 copies given that I am now 69 years old. Yes, you can publish the same book with two different ISBNs the way you describe, but why? They will both appear on Amazon. It will confuse readers and reviews would no doubt be split between the two books. Per a conversation I had with a KDP Representative today, KDP does not support Baker & Taylor as CreateSpace did. This has created a major issue for me the last 3 months as I’ve been trying to get my books to Libraries to no avail. Are you saying that libraries have told you that they cannot buy your book because it isn’t in the B&T catalog? Many of them also buy from the Ingram catalog. In my experience a catalog listing doesn’t sell books. Besides, there are other library wholesalers that would love to carry your book if you have a library marketing plan and orders for them to fulfill. Brodart, for example.